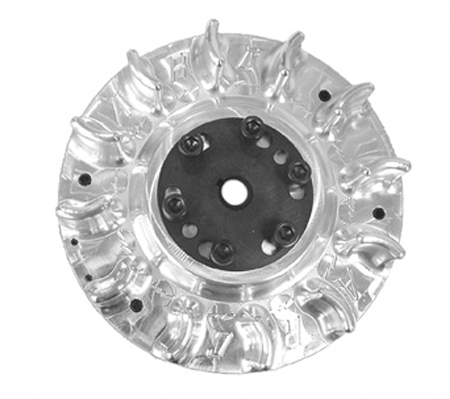 This billet flywheel with adjustable timing for the Honda GX160 and GX200 and the BSP "clone" engines, is SFI Certified. The keyway is in the stock position when the flywheel's indexed adjustable timing hub is set to the negative side of the index range. Index marks are in 2? increments which allows up to 14? timing advance from the stock position (25?-39? range). The flywheel weighs 4.8 lbs and has a super-strong rare earth neodymium magnet.